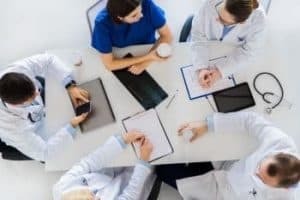 As medicine and healthcare-related businesses and services are as prolific as ever, medical stock photos are very sought after by business owners, designers and creatives. If you’re developing, managing and promoting a medical product or service, of course, you are going to need beautiful, themed imagery. 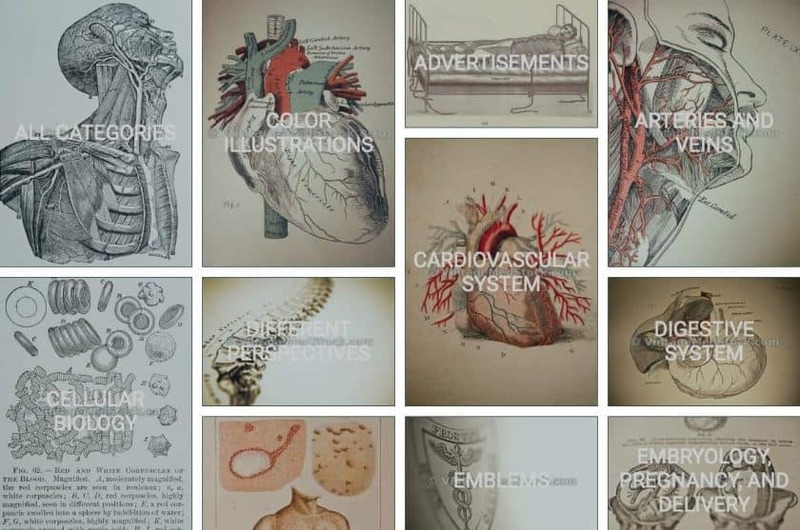 And here you will find everything you need to know about high resolution medical stock photography and where to find it, to get yourself the most appealing and perfect medical pictures for your designs. Here we go! Get your images of doctors, a nurse, doctor a stethoscope and other medicine equipment used in a hospital for healthcare or in a clinic. At this point, you probably know the online stock photo market has pretty much any image you can need or imagine, and likely millions of variations for each as well. Logically, it is the demand for certain types of photos what fuels the amount of them that are available across the stock photo agencies. 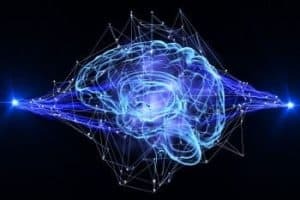 When it comes to medical imagery, as we briefly mentioned above, there is an evergreen demand for them as so many activities (commercial, non-commercial, even governmental) in this field need a constant flow of visuals. Such undying need results in not only extensive collections of medical stock photos and health care and wellbeing images in every top stock photo agency but also the existence of specialised libraries that focus exclusively on this subject. To know which ones they are, just read ahead! Why is Medical Stock Photography so Cool? 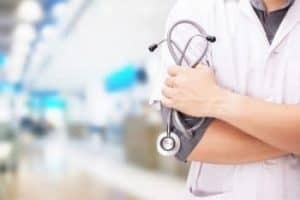 Here’s a quick list of the best medicine stock photo agencies to buy high resolution royalty free medical images with the best quality, quantity and prices. Most of these made it into our ultimate list of the 20+ Best Stock Photo Sites Ever, so you know they're trustworthy offers! 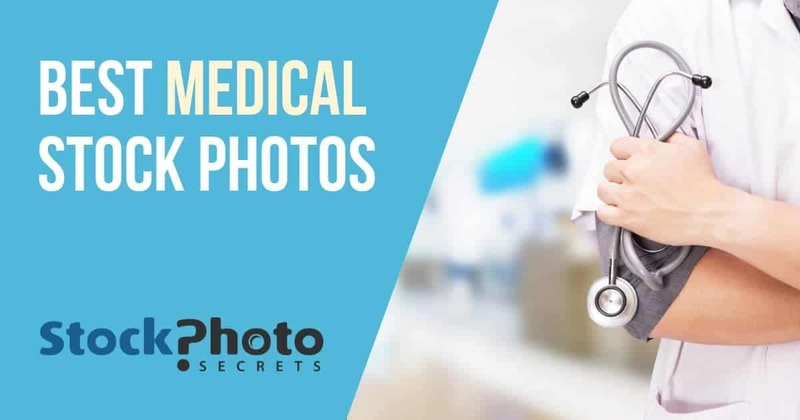 Our Stock Photo Secrets Shop has a whole collection of images dedicated to medical & healthcare, with well over 130,000 medicine stock photos to browse, and growing! You can also find the perfect medicine themed photo using the advanced search engine with either keywords or reference images. 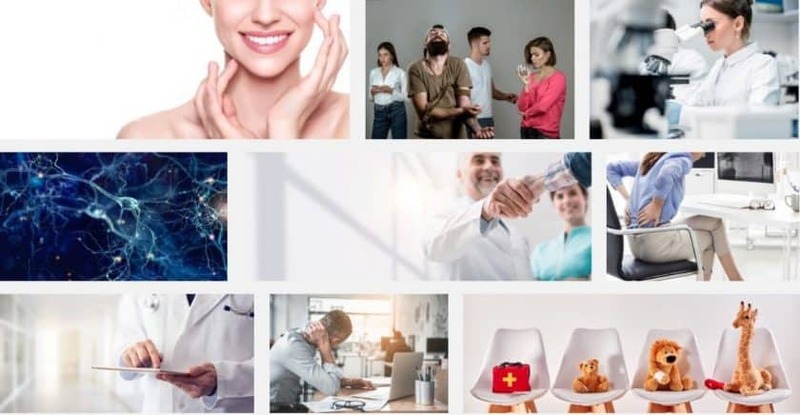 The Shop has the best offer and prices in royalty-free stock photos for small and medium-sized businesses and also medical icons, so it’s certainly one of the best places to get stock photos of medical themes. 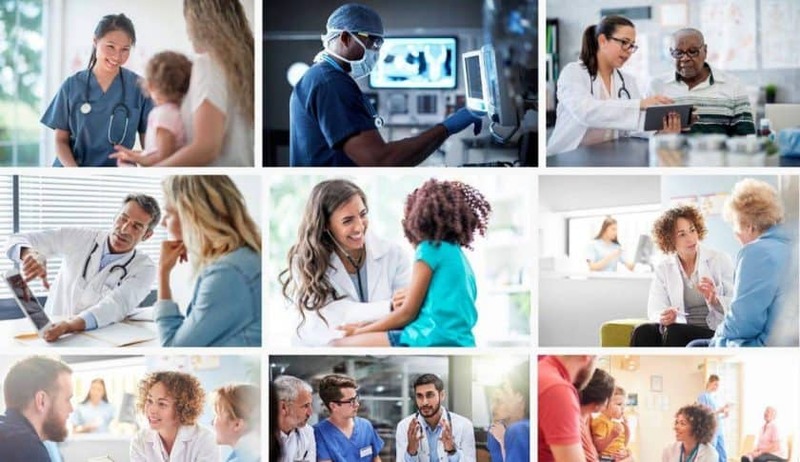 One of the most prestigious stock photography agencies worldwide, Getty Images hosts a large selection with over a million images with a medical theme, that you can view by just entering the keyword “medical” in their powerful search tool. You can narrow this pool of photos by adding keywords and using results filters. 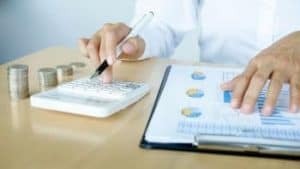 This agency has multiple license types and prices available, according to your specific needs, but you get the best deal with their Ultrapacks that let you save up to 30% in volume purchases! 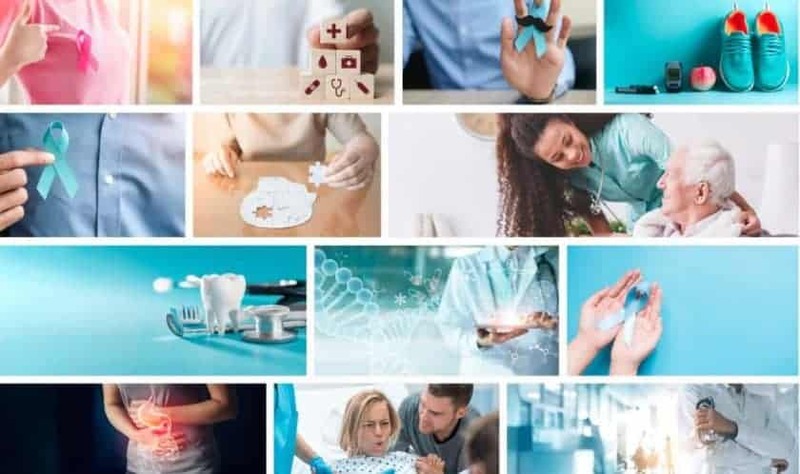 Renowned stock photo agency iStock bring you a medical & healthcare collection to surf with millions of images divided into sub-themed collections like Hospital, Surgeon, Alternative Medicine, and more. Of course, you can also search for the right images using their modern search feature, with either keywords or any image you want to find similar royalty free photos. 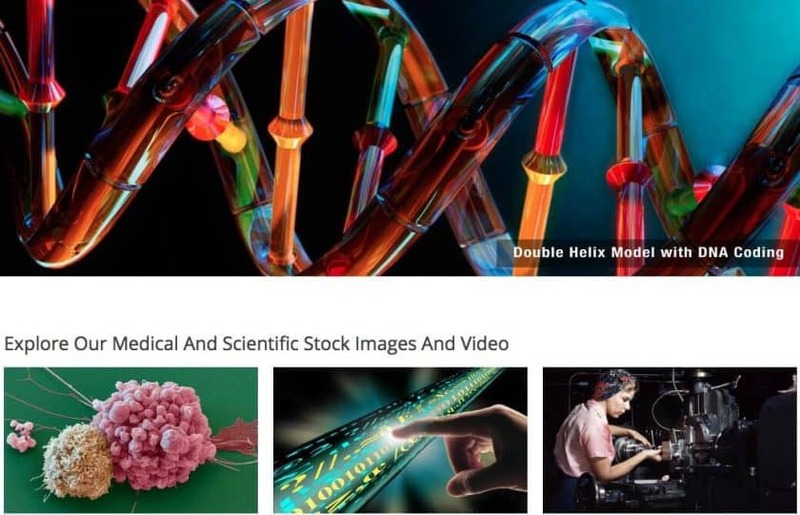 iStock has very convenient prices and options for all budgets, and their huge selection of exclusive content –including medical pictures– is a great added value. Plus, for a limited time, you can save 15% off your credit packs and subscriptions in iStock with our great iStock Promo Code! So hurry up! Save! iStock Promo Code – Up to 15% off! 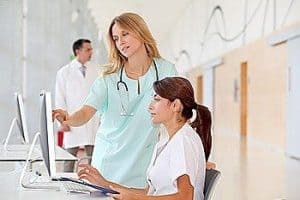 Shutterstock is one of the biggest and most popular stock photo agencies, and their massive library includes a healthcare/medical selection with over 5 million files to choose! It’s easy to navigate as it subdivides into themed categories like Medicine, Emergency, Diseases, etc. Besides, Shutterstock has a top-tech search engine where you can find images using keywords and filters, as well as using another image as a reference. This agency has very affordable deals in royalty free images, and you can even get a lower price if you use this special Shutterstock Coupon Code with 18% off for a limited time! 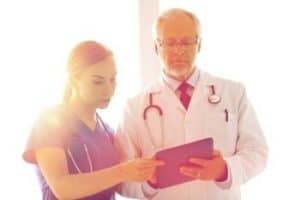 Adobe’s proprietary stock photo service –integrated into Creative Cloud platform–, Adobe Stock has lots of photos about medical services and health care. 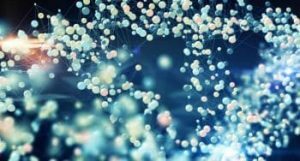 You’ll find thousands to millions of them in here their science category, but you can also look for them using keywords, or even doing a reverse image search on the base of any image you provide. Adobe Stock has excellent deals in royalty free stock photography, and this includes a Free Trial for One Month that you can use to download images for free and test their service! 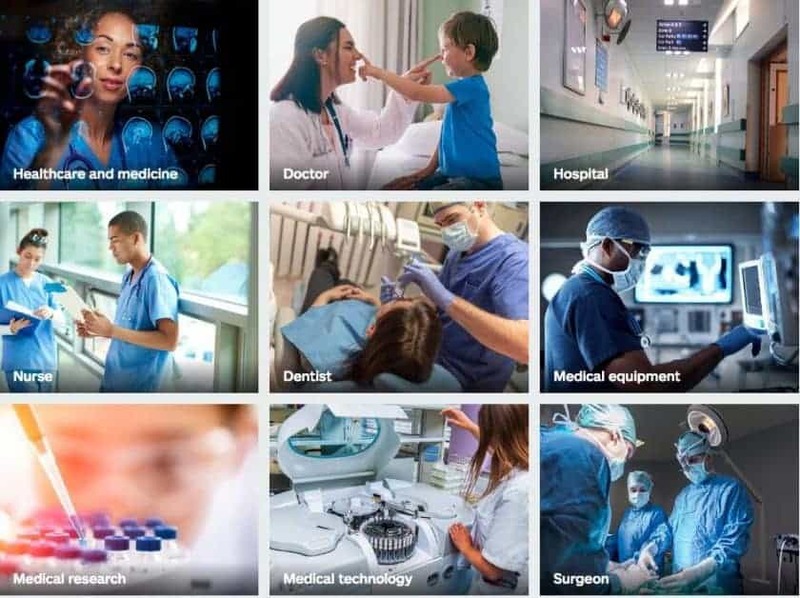 Well-established stock photo agency Depositphotos has close to 2 million high resolution medical themed images grouped in their medicine & healthcare category. Besides browsing through their selection, you can discover the perfect photos for your project by using their search function, that includes reverse image search, keywords and advanced filters for an easy searching experience. This company has very flexible and varied pricing options for your every need, and you will get the best deal ever using our exclusive Depositphotos Coupon Code with 5 FREE images plus 15% off in your purchase! Previously known as Photo Take, Medical Images is a stock photo agency specialized in, you guessed, medical stock photography. They have over a million images, displayed in categorized galleries and searchable by keywords as well. It’s a highly specialized library that includes everything from micrography and to clinical images and beyond. 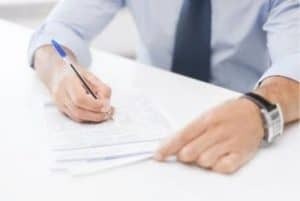 They work with professional contributors and provide very accurate content with dedicated captions that can simplify your work. You can even request custom medical stock photos if they don’t have what you’re after in existence. Medical Images has both rights managed and royalty free licenses available, so you can likely find medical stock photography that suits you in all aspects. 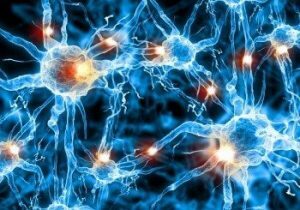 Photo Researchers Inc. owns Science Source Images, and they have over 50 years of history providing science and medicine themed imagery for publishers and creatives. Their library is full of very specific categories and images, from particular diseases to more general healthcare pictures. 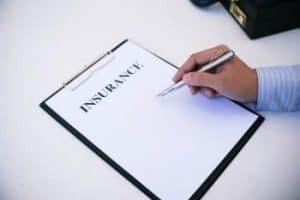 This company works with rights managed licenses, that get tailored and priced according to your intended use, granting you will get the exact coverage you need. Vintage Med Stock is a particular stock photo service created by photographer Mark Sozier. It provides hundreds of historical and vintage medical images, which can be harder to find in other libraries. You can buy any of these vintage health and medicine related photos with a royalty free license that lets you use them commercially in various ways. If you're sitting there thinking “it's all well and good, but right now I can't afford to pay for photos” (or if you want to source images for your medical project for free), we have you covered too. 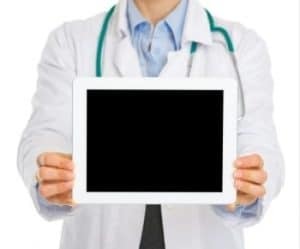 In the following websites, you will be able to download medical stock images free of charge. Important note! Most free photo sites use license agreements from creative commons organisation or put images under the public domain. 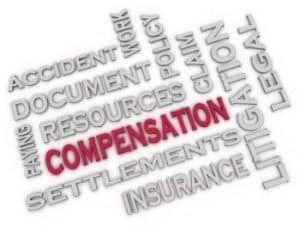 While these are free and technically legal to use, there are a lot of hidden risks. Mainly, the risks of the photos not being properly licensed, or the people in them not having authorised the use of their likeness. Such risks are a lot higher when you use images for commercial purposes. This warning should not stop you from using free photos, but you do must be very selective and careful in where you get them from and how you use them. Luckily for you, all the listed above are included in our insightful List of the 27+ Best Free Stock Photo Sites, so you'll be as safe as you can be! Pixabay is a German-based free stock photo site, and it's as large as reliable. 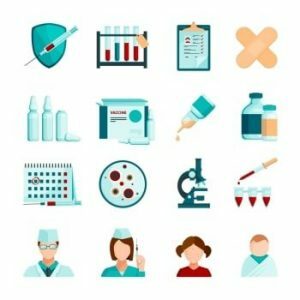 They offer a big collection with over 10,000 free medical stock images that you can use free of charge, under Creative Commons license. 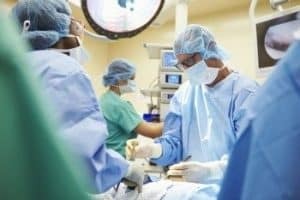 An uber-popular free photo site with a community style, Unsplash has 100+ beautiful medicine-themed photos that you can easily search with appropriate tags like “medicine”, “healthcare” or “medical”. And you can use them for free under a custom free use license. PikWizard is a great free photo download site owned by a professional stock media brand, and they have hundreds of medical stock images available that you can search very easily using their search tool, and use in your work under a custom license, totally free of charge. Pexels is a free photo aggregating site created in Germany that hosts a wide variety of medical stock photo files ready to download and use in your designs at no cost, with a Creative Commons license (CC0). Developed by Shopify, Burst is a free stock photo website with a strong commercial focus, and they have 300+ healthcare and medicine related photos for you, that are perfect if you're running a business with a medical background. You can download and use these images for free with either a Creative Commons or a custom license. 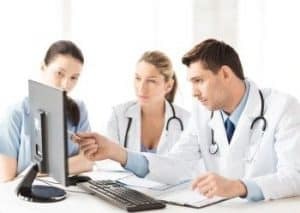 Images of Medicine Staff at Work: images of people like medical students, medical scientists, doctors, nurses and technicians in hospitals, medical clinic, practice offices, labs, etc. Pictures of Medical Specialisations: surgical, traumatology, dermatology, x-rays, etc. Vintage Medical Photos: the history of medicine, medical procedures, instruments, instructive posters, etc. And these are just some of many specific styles of images you will find in stock photo libraries. As you see, you will not be short of choice in beautiful imagery for your visuals, independently of the specific branch of medicine and health care of your project! 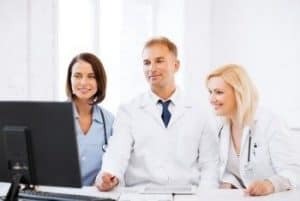 Royalty free medical images are just like any other kind of royalty-free stock photos in the sense that you can use them in the most varied scenarios and with a commercial purpose for a little cost (and one-time fee). Preparing presentations with a medical theme for doctors, medical scientists, pharmaceuticals, etc. Publishing in the medical field: blog, articles, etc. 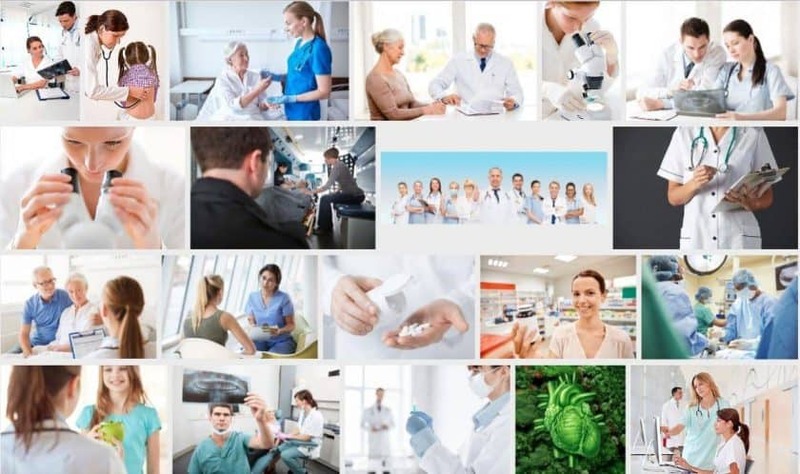 All that and more is possible with royalty-free stock photography, and as you just verified reading above, you have a massive variety of medical and health-themed stock images right at your fingertips! Doctor with a stethoscope in the hands and hospital background. Most stock photo agencies include a “sensitive use” clause in their license terms, that stops you from using images in a way that could put the people depicted, the artist that created it or even the agency under a bad light. 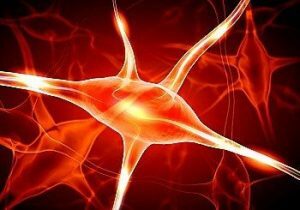 And when it comes to health, some of them fall under this sensitive use limitation: serious diseases, special abilities/needs or conditions derivated from lifestyle choices are all delicate topics that you should handle with consideration at the time of designing a visual. 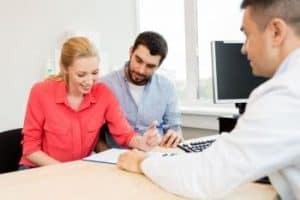 If you’re in doubt if your intended use would infringe the sensitive use restriction, make sure to contact the agency directly to get clarification. The nature of stock photography implies the permits you have to use the images are generic and not specific to your intended use. For this reason, you are not allowed to present people depicted in stock photos as if they are endorsing products or services directly. 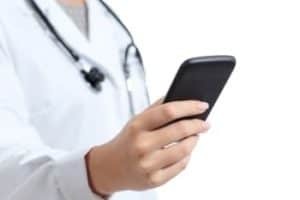 It’s important to know this before creating visuals for medical services: you can use photos of people posing as professionals, patients, etc. But you cannot in any way imply they are actual doctors or customers to the service you’re promoting. Photo of a woman in a white coat smiling at the camera: You can use it and add copy that says “The friendliest professionals are here for you”. But if your text says “Dr Smith is awaiting you”, that’s a direct endorsement and a big no-no. In connection with sensitive use – Photo of young people in a bar: A poster that warns about the dangers of drinking is a-okay. But using a photo of a young man next to a text that goes “John drinks a six-pack every day and his liver is suffering” is off-limits. Most Standard Royalty Free licenses have a copies run cap, usually set between 300,000 and 500,000 units, for both print and digital reproductions. So if you’re using medical stock photos in leaflets or similar, you must keep this limit in mind. If you think you’ll exceed it, you will need an Extended license which makes the photo a bit more expensive but gives you unlimited reproduction rights. The standard license does not allow to use images in direct to retail products where the photos make the core value. For this, you would need an Extended license. 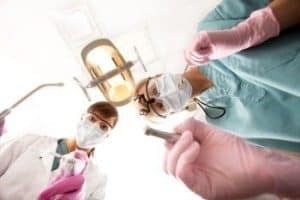 While you must be aware of these use case scenarios, it’s fairly obvious the rights and benefits in royalty free medical photos far exceed their few limitations. 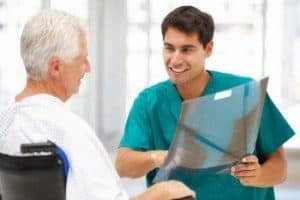 If you work in, for (or happen to be hired to design for) the medical field and related industries, you can rest assured the royalty free stock photography market has you covered. Not only you can find amazing, professional and high-resolution quality images in every possible variation of this subject, but also you can get them with a flexible license at really affordable prices. What’s more to ask? So choose your supplier and start downloading great medical stock images right now! 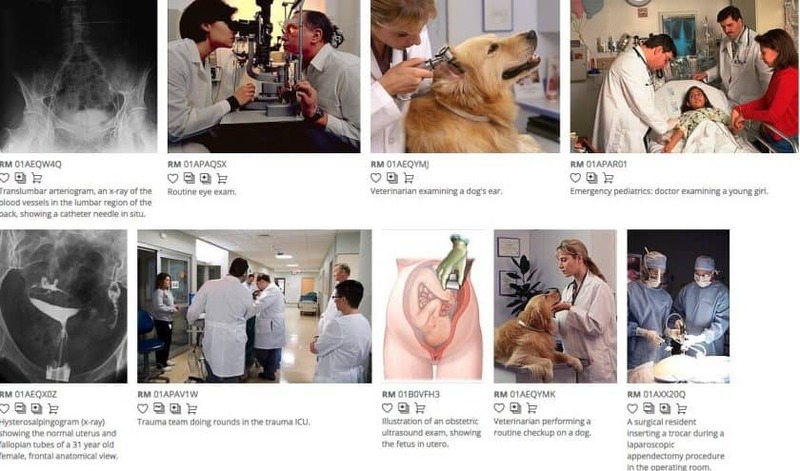 Let us know which medical stock photo agency you pick!